Johnny Idol flies the flag for New Zealand today in the CMLL International Grand Prix. Idol will be part of an eight-man international side taking on a team of lucha libre legends in the main event of the CMLL pay-per-view live from Mexico City. It has been a whirlwind couple of weeks for Idol in the lead-up to the International Grand Prix. The New Zealand star has appeared in numerous local Mexican media outlets, including Box y Lucha magazine and the CMLL Informa talk-show. Idol will be joined on Team International by several well-known names including NJPW stars Kushida, Michael Elgin, Tama Tonga and Tanga Roa, as well as Italy’s Marco Corleone (former WWE Superstar Mark Jindrak). 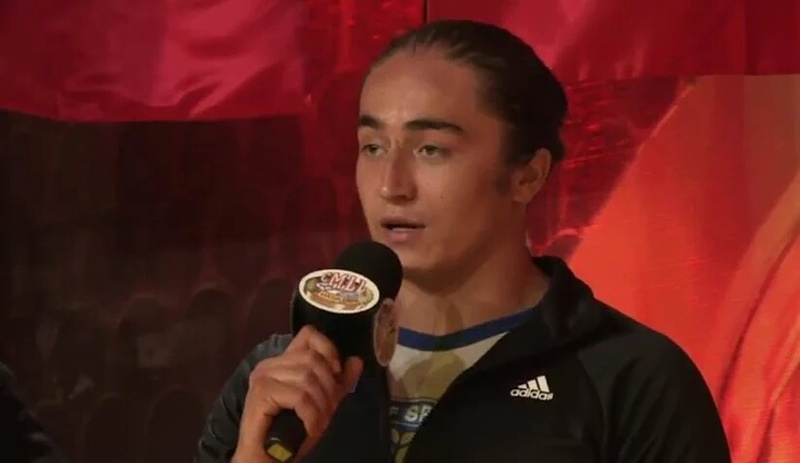 Their opponents are some of the biggest stars in Mexican lucha libre, including La Mascara, Shocker, Ultimo Guerrero and Volador Jr.
“There’s eight guys so I don’t mind who I have to take out, y’know?” Idol told the CMLL Informa. Idol has been based in Mexico for the past five months after leaving New Zealand in January. He has primarily wrestled for the DTU promotion prior to joining CMLL for the International Grand Prix. “I feel really good getting to get in the ring with guys like Ultimo Guerrero, Cibernetico, legends in the business,” he said. CMLL (Consejo Mundial de Lucha Libre – translated to English as “World Wrestling Council”) is the oldest active pro-wrestling promotion in the world, founded in 1933. The 2016 iteration of the International Grand Prix will be the promotion’s 12th, and the first since 2008. Earlier versions of the International Grand Prix (1994 – 1998) were contested as a one-night tournament. After a brief hiatus, the event returned to CMLL in 2002 in its current format. “Torneo cibernetico” rules will be in play for today’s main event, 16-man elimination match-up. Eliminations can occur by pinfall, submission, disqualification or count-out, while wrestlers are able to enter the ring once they are tagged by their partners or once the legal man has left the ring. If two or more members of the same team remain at the end of the contest, it is believed they will face off to determine one individual winner. Team Mexico has a 3-1 record against foreign sides in the International Grand Prix. CMLL International Grand Prix takes place today, July 2, at Arena Mexico – the 16,000-plus capacity venue home to most major CMLL events. The event airs live on pay-per-view from 1.30pm NZST and is available to order for $14.99 USD via Cleeng. In addition to the 16-man main event, today’s card features three other bouts including a hair versus hair match.